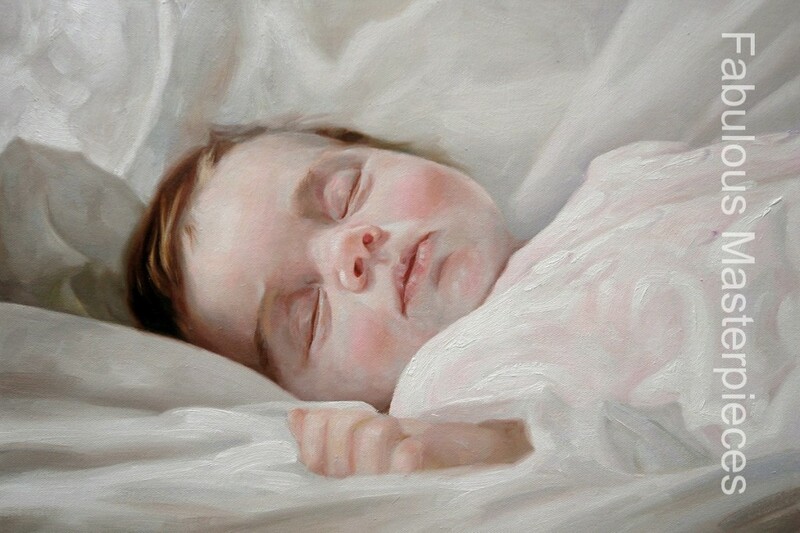 Look at this beautiful baby portrait of baby Amelia, hand-painted with oils onto canvas. It’s a lovely keepsake that her parents can treasure and show to Amelia when she’s older. If you would like to capture a memory in oils for your family, please email info@fabulousmasterpieces.co.uk all we need is a photograph and our artists will do the rest! Prices start from £250, Fabulous Masterpieces delivers worldwide too! Wow, this is fabulous! You’ve really captured the detail beautifully and I’m sure baby Amelia’s parents are delighted with your efforts. Great work and I wish you all the best for the future! Thank you very much, that’s very kind!